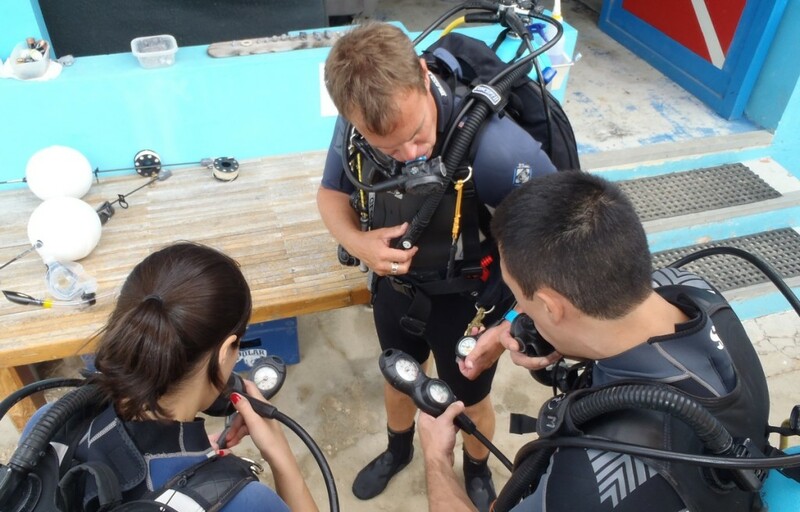 As a PADI 5 Star Dive center, The Dive Bus Instructors are required to follow the standards and pre-requisites set out by PADI, in terms of safety, teaching, course content and materials standards. We don’t just train good, safe divers – we lay the groundwork for excellent, safe divers who respect and protect the ocean and appreciate what lies beneath. Once you’ve completed your PADI recreational dive course, you’ll receive a special, limited edition Project AWARE version of your PADI certification card in the mail, and we make a donation to Project AWARE on your behalf. Your certification card will show divers and dive professionals that you care about and respect the ocean and what lies beneath. More about our commitments here. Safe, fun, learning experiences in small, personal groups. Whilst PADI safety standards permit us to take up to 8 students in one class on some courses, we don’t. Unless otherwise requested, The Dive Bus classes are minimum 2 divers, maximum 4 to 1 PADI Instructor. Private instruction and additional teaching days can be arranged for an additional charge – do book in advance to avoid disappointment. Got a bigger group that wants to dive together? No worries, we’ll allocate more Instructors to your group but do book in advance to avoid disappointment. 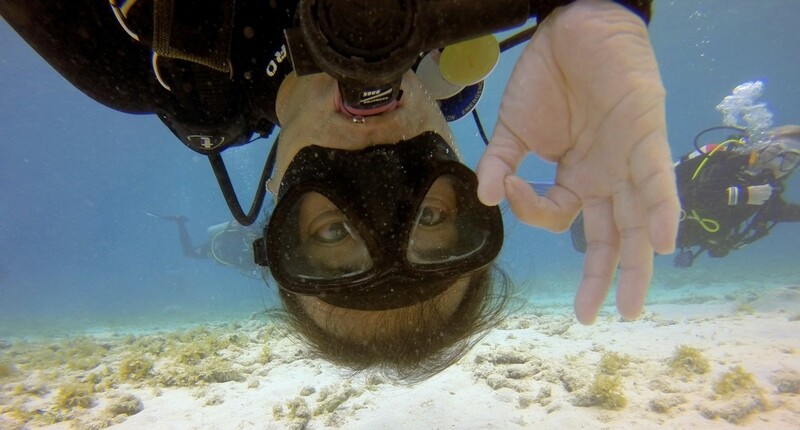 All PADI dive courses are taught right here, at The Dive Bus PADI 5 Star Dive Center, with everything you need on site. No stuffy classrooms or annoying, noisy air co units for Dive Bus PADI dive course students – you’ll spend your dry time in assorted relaxed, open-air, shaded “classroom” areas at The Dive Bus. Spend the rest of your time in your underwater classroom, The Dive Bus house reef – one of the best and most beautiful dive spots in Curacao, just across the road. 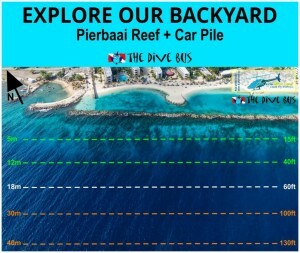 Your “swimming pool” (confined water area) is inside the shallow, protected bay area, with the beautiful reef (Pierbaai) and wreck site (Car Pile) a couple of minutes beyond, for your open water training dives. Other dive schools spend precious time bringing students from miles around to dive on The Dive Bus house reef, just across the road. Taking your PADI dive course at The Dive Bus means you get to spend less time getting to the reef, and more time diving the reef. Dive Bus divers and students alike are regularly surprised (in a good way) by the quality of the rental equipment you’ll use on your PADI dive course. Instead of ‘typical’ dive shop rental equipment, you’ll be using mid-high end, quality dive equipment, maintained and cleaned frequently, and in excellent condition. 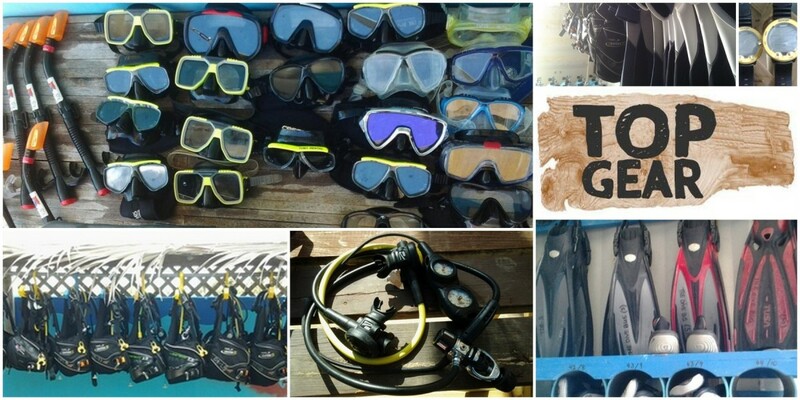 And, since it’s super-important that your equipment fits you properly, you’re welcome to try out different equipment during your course before buying your own, with your Dive Bus Graduate Discount… see below. All of us on The Dive Bus Crew love what we do, and can’t wait to share our knowledge, enthusiasm and genuine interest in ensuring you have best time possible, whilst maintaining strict safety and professional teaching standards. But it’s important to have fun too – and we find that the Dive Bus Beer Fine system is a highly effective motivational tool for learning – and, more importantly, remembering what you’ve learned. You’ll quickly discover that dive equipment that’s comfortable, familiar and actually fits, makes a massive difference to how much you enjoy your diving – or don’t. During your PADI dive course at The Dive Bus, you’ll have the opportunity to try out different masks and fins to find what works best for you. Your own PADI learning materials to keep forever. Check each course to see what’s included. Your actual, special edition Project AWARE PADI certification card, which you’ll receive in the mail. Or, request an e-card (harder to put “somewhere safe” or in laundry by mistake) from your Dive Bus instructor during your course.